Virginia Fair Studios are decorative painters and also offer furniture restoration, wall finishes and more. Visit our website for more information. Virginia Fair was originally from New Mexico. She grew up in a family of artists. She started her art career by winning first prize in an art contest at the local state fair. In college she took classes in jewelry, pottery and painting. 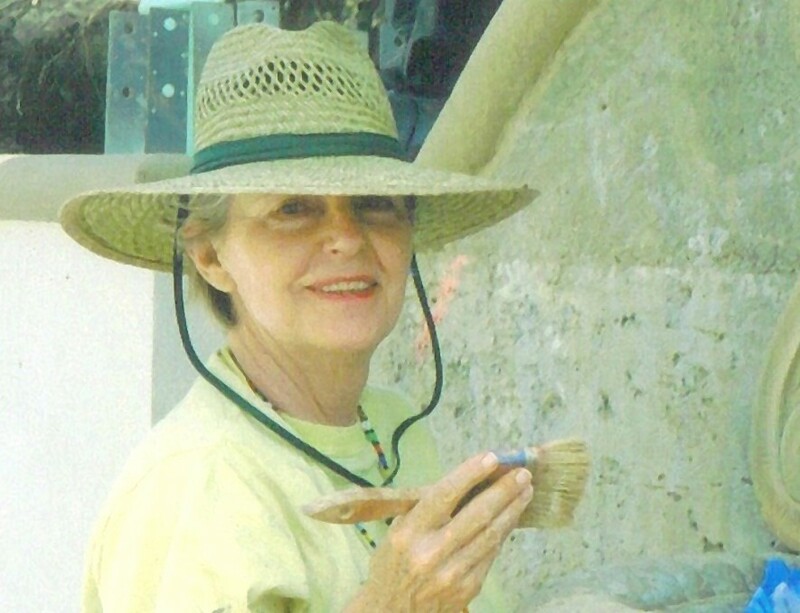 For three years she owned an art gift store in Taos, New Mexico. This store featured the creation of local New Mexico artists and sold jewelry, pottery, hand-woven materials and hand-carved doors. At that time Virginia was creating large pottery vases and sculptures. This store co-owned with five other people (all artists) was very successful and gave Virginia the basis of her learning how to run a business. Virginia moved to Los Angeles, California in 1970. She raised three children and was a business consultant for 20 years. However, she always kept her art projects going on the side. As more and more requests for art came into her life, she decided to become a full-time artist, as was her dream. Jay is originally from Boston, MA and grew up in a family of musicians and artisans and was surrounded by creative people. He sold his first piece of art at age 13-a pencil illustration, to one of his teachers who was impressed with his knack for detail and referred him to a client which he later created a company logo for. This launched a career into graphic design and illustration and years later would give him the tools and experience needed to expand into the art of 4 color process and silk-screening along with desktop publishing, marketing and promotion design. Jay’s early years as a house-painter and background in construction as well combined with his talent for painting and illustration was the perfect mix to develop and hone his skills as a faux artisan and design plaster craftsman.